Published by Dville Press, LLC. 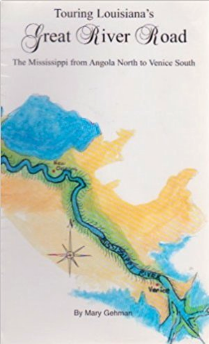 Before touring the River Road in Louisiana, be sure to pick up this handy guide book. This book follows both banks 300 miles and lets you know what to see and do and eat, where to stay overnight, and offers plenty of multicultural history and sights. It also includes numerous localized maps. Get 10 for your Store or Book Club: $125.00 with free shipping!